A detail from San Luis Obispo County Public Works' interactive data map showing the Los Osos Basin in red and the fringe areas in yellow. 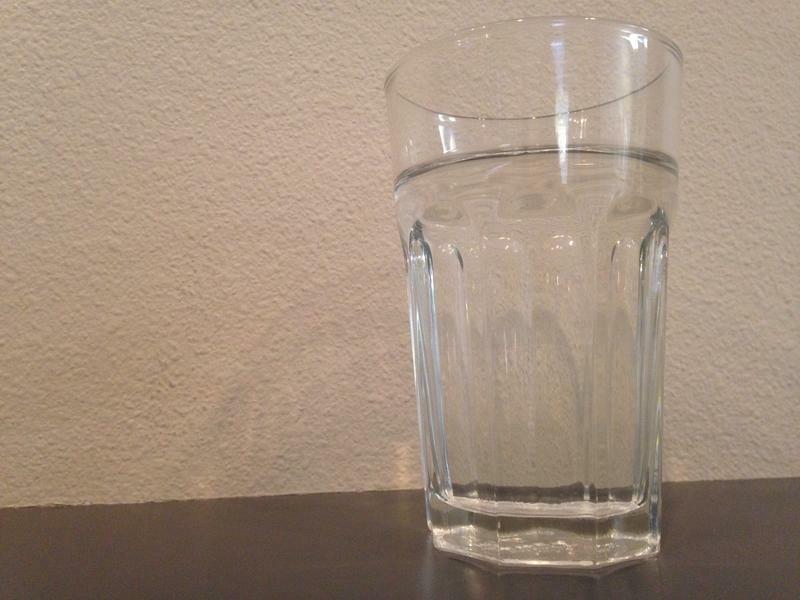 San Luis Obispo County’s public works department is looking at changing the boundary of the Los Osos Valley Groundwater Basin, considered by the state to be in critical overdraft. That means the state’s recent groundwater management law, the Sustainable Groundwater Management Act (SGMA), requires the 11-square-mile underground water source to be stringently managed and conserved, and curtails unregulated pumping. Catherine Martin is a water resource engineer with San Luis Obispo County Department of Public Works. “What we’re talking about doing with this potential boundary change is that, in order to simplify things and base this upon the best available science, we’d be creating a subbasin, and that helps the landowners in that area because they are separate and distinct from the main basin,” Martin said. Martin said there are 37 land parcels - large and small - that are currently in what's considered “fringe areas.” These outlying areas - known as the Eastern Valley Area and the Southern Beach Area - are currently required to comply with the SGMA, even if they aren’t as depleted as other areas. 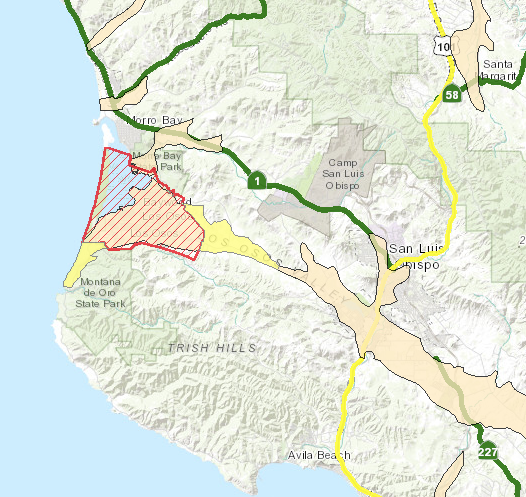 But the county board of supervisors could vote to request a separation of the fringe areas from the main Los Osos basin. When considering a boundary change request, the state’s Department of Water Resources looks at a number of factors - including population, number of wells and water quality. Then, the DWR may decide that the subbasin is not at such a critical stage as the main one. While this week’s meeting concerns a relatively small number of landowners, this process of establishing basin boundaries and potentially creating subbasins is currently underway all over the Central Coast. The county’s public works department urges all San Luis Obispo County landowners to get involved with the management of their particular underground water basin. 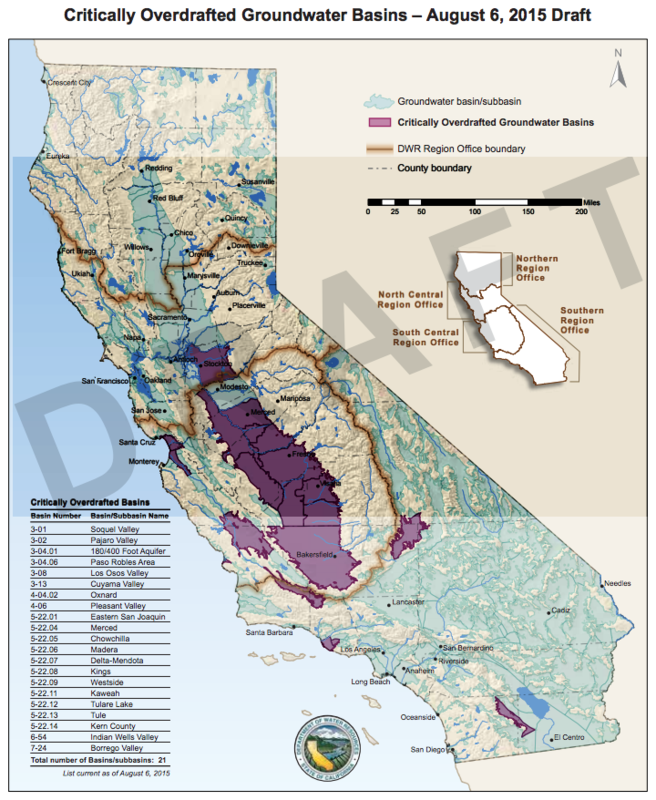 Several Central Coast groundwater basins are on a California Department of Water Resources (DWR) draft list of water supplies that are tagged as being in critical overdraft.